NOTE: This review contains my unfiltered opinions regarding some highly controversial issues on which I am probably under qualified to discuss. My intention in writing this is not to criticize or offend any of my readers who do not share my viewpoint. I’ve never considered myself a feminist. Don’t get me wrong: I am extremely grateful to the feminist activists of the nineteenth and early twentieth centuries, whose tireless campaigning resulted in the rights I, as a woman, freely enjoy today. However, I tend to associate feminism with second-wave feminists of the 1960s, whose efforts (in my opinion) resulted in a societal moral decline, the degradation of men, and ultimately a dehumanizing of women. It is with this bias that I reluctantly sat down to read Lean In: Women, Work and the Will to Lead, by Facebook COO Sheryl Sandberg. 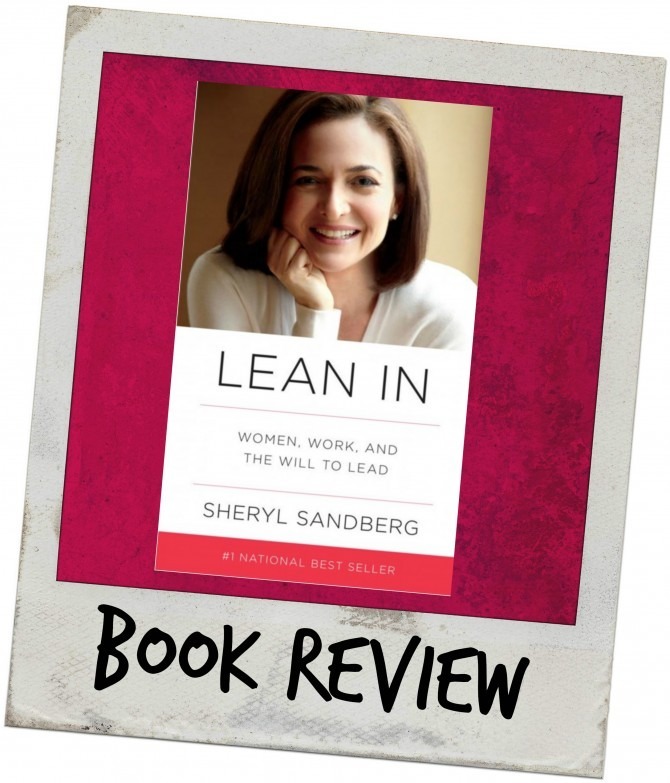 Lean In is Sandberg’s examination of why women’s progress in leadership roles has stalled. Sandberg combines personal anecdotes with hard data to explore issues surrounding women in the workplace, particularly the limitations imposed upon businesswomen and the ways in which these women tend to limit themselves. 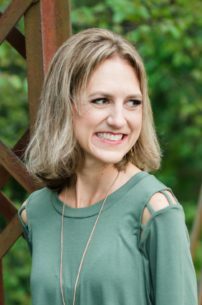 Throughout the book, Sandberg offers practical advice for women seeking to take their careers to the next level by overcoming internal and external barriers to success. I am admittedly not Sandberg’s target audience: I am neither a woman in the corporate world, nor am I particularly career-minded or ambitious, and as I stated above, I am decidedly not a feminist. Subsequently, I fully expected to dislike this book and to disagree with Sandberg on all points. However, after seeing all the press coverage that Lean In was receiving, my interest was piqued, and I figured I should read the book myself before forming an opinion. Based on my preconceived notions, you can imagine my surprise upon discovering not only that Sandberg’s message resonated with me on a number of levels, but that according to Sandberg’s definition of feminism (“someone who believes in social, political, and economic equality of the sexes”), I am actually a feminist! 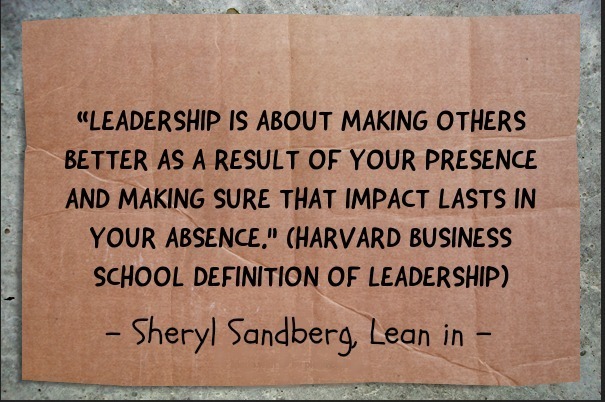 All labels aside, I found myself disagreeing with Sandberg quite frequently throughout Lean In. Sandberg spends much of the book bemoaning the female disadvantage in the workplace, and while there may be some validity to her point, I don’t think the situation is as dire the picture she paints. Where disparities do exist, they often do so for completely valid reasons. I didn’t appreciate Sandberg’s victim mentality (which she vehemently denies holding, but which is nevertheless apparent throughout the book). There are a number of other contradictions within Lean In, most notably Sandberg’s vacillation between wanting men and women to be treated equally, and wanting the business community to compensate for their differences. You can’t have it both ways! I applaud Sandberg’s acknowledgement of the differences between men and women, and I agree that women bring a separate set of strengths to the workplace; however, if women want to be treated equally, they need to be able to act equally to men, without expecting any special accommodations. Another point on which Sandberg and I differ is that Sandberg believes that women should make up 50% of the work force and should hold half of all leadership positions. I think this is impractical, and unnecessary. For one thing, fewer women aspire to positions of power – which is likely why they are not in them. If women are truly qualified and wholeheartedly go after these types of jobs, they will get them; they don’t need any sort of affirmative action helping them along. The most problematic aspect of Lean In is Sandberg’s heavy reliance on gender stereotypes. Sandberg fails to acknowledge that she is not representative of all of womankind, and that not all women share her insecurities or her ideologies. Though stereotypes exist for a reason, her perpetuation of these stereotypes is detrimental to her mission, and surprising given her other beliefs. For all of my criticisms of Lean In, I found quite a bit to like about this the book. 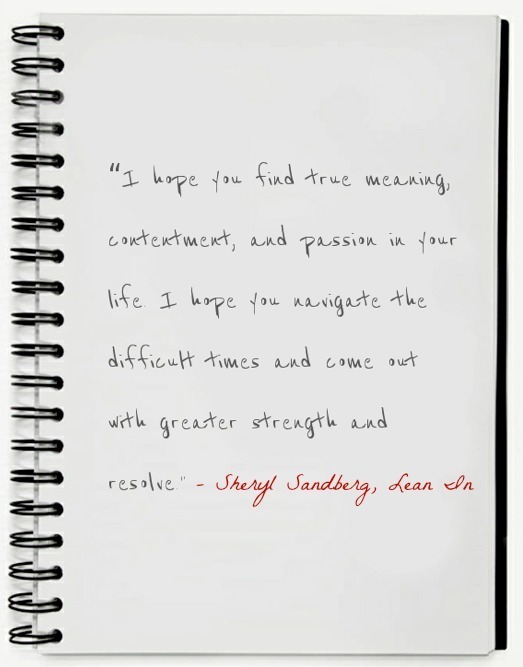 I was encouraged by Sandberg’s refreshing candidness regarding her own struggles, and I enjoyed her casual writing style and positive, uplifting tone. I was pleasantly surprised by how much of Sandberg’s message applies to a broad audience (not just career-minded women), and I even had a few encouraging takeaways myself: I was reminded that I need to live for today, and that to do so I need to lean in to what I want out of life now rather than trying to plan out my future. I was also encouraged to fight for what I want, regardless of what others expect from me. 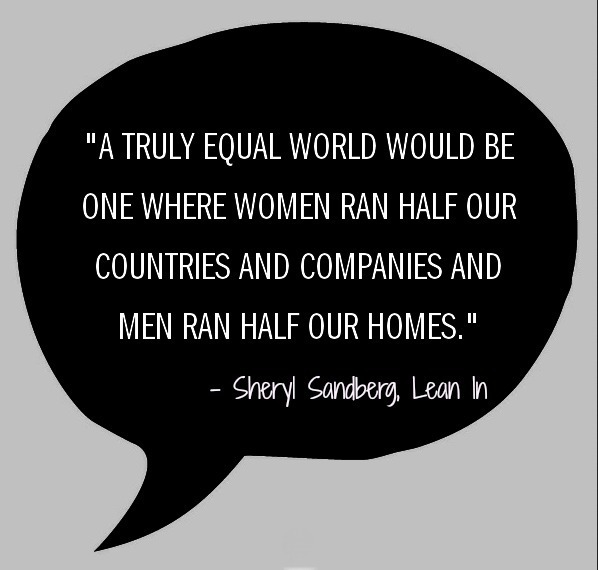 Whether or not you are a fan of Sheryl Sandberg, or are in agreement with her views, Lean In is an insightful and thought-provoking read. It has already sparked quite a bit of discussion regarding women in corporate America, and I am curious to see the the broader ramifications of this book in the future. My Book Rating: 3.5 out of 5 stars.